GYNOSTEMMA or “Jiaogulan” is an adaptogenic herb. An adatpogen is a substance that brings you whole body back into balance. It also increases strength and stamina and protects the body and mind against stress, either mental or physical. It is especially helpful for the immune, digestive, nervous, reproductive and cardiovascular systems. It is a very potent health tonic. Gynostemma is very popular all over the world for it’s ability to control weight. If you are too skinny, it can help you gain weight. If you are too heavy, it can help you lose weight. This is the balancing action of this adaptogen. It brings the body back to it’s normal weight. It can also help maintain normal blood sugar levels and remove harmful blood fat. This causes your metabolic system to function better. It’s also able to maintain healthy bowel function by it’s cleansing action on the intestines and stomach. It eliminates toxins from the body too. 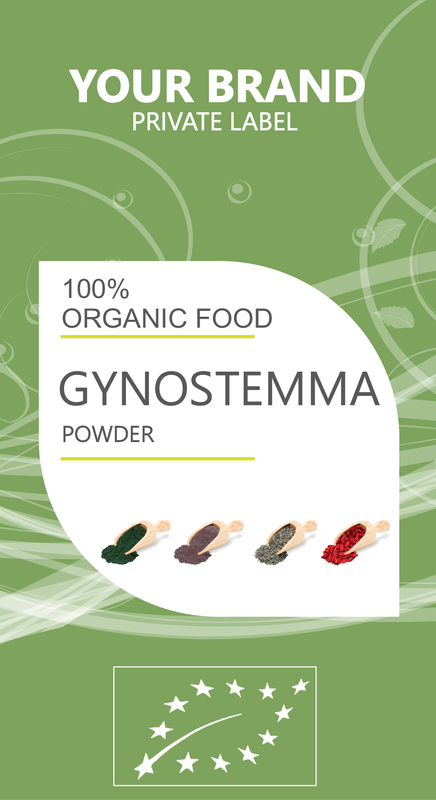 Gynostemma helps the immune system with it’s powerful antioxidant content. It increases white blood cells and assists the liver. It relieves stress and relaxes the nervous system. If you’re depressed, it’ll lift you up. If you’re too excited, it’s calm you down. It is often used by people suffering from depression, stress and anxiety. Gynostemma is also capable of lowering serum cholesterol, bad cholesterol (LDL) and triglycerides, and at the same time increasing good cholesterol (HDL). It can lower high blood pressure and improve the function of the cardiovascular health by increasing coronary blood flow and decreasing vascular resistance. It has the ability of releasing nitric oxide which relaxes the blood vessels. Gynostemma also contains many important mineral, trace minerals, amino acids and vitamins that are helpful to the body in general. It really is a powerful herb.